Basseterre, St. Kitts, December 17, 2015 (SKNIS): The Government of National Unity has long stood by its decision to build a temporary structure to house the staff and students of the Basseterre High School (BHS) and will soon deliver on its promise within only several months after taking office. 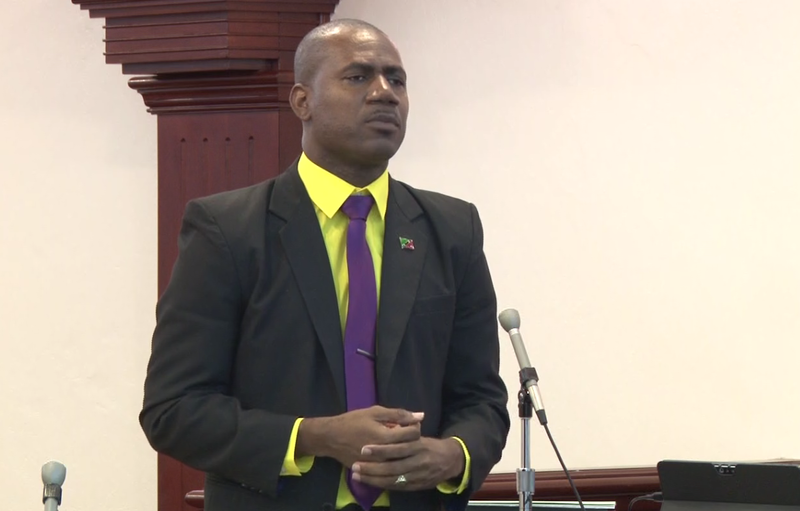 Deputy Prime Minister and Minister of Education, Honourable Shawn Richards, commented that there have been reports that the structure, though temporary, has impressed many. He stated that in an effort to provide a healthy and comfortable environment conducive to learning and teaching, the structure took on a permanent form. “Come the fourth of January, those students will be at the temporary school,” he revealed. The minister took a moment to thank the Methodist and Moravian Churches, the Sports Department, 17 Degrees, for assisting them in providing accommodation for the students. Gratitude was also extended to the owners of the land which the school now occupies, the Boy Scouts Association and the Masonic Lodge. The minister revealed that early 2016 will see the construction of a new BHS. A final report of the Basseterre High School Site Selection Committee, which is for the permanent site, was presented during the 2016 Budgetary Address. Prime Minister, Dr. the Honourable Timothy Harris, stated in his address that $10 million had been allocated to build the new school on the designated site. “Another major Manifesto commitment is unfolding,” the prime minister stated, in referring to the construction of a brand new BHS in the New Year.